Author(s) Esposito, John L.; Esposito, John L.
This exceptionally successful survey text introduces the teachings and practice of Islam from its earliest origins up to its contemporary practice. 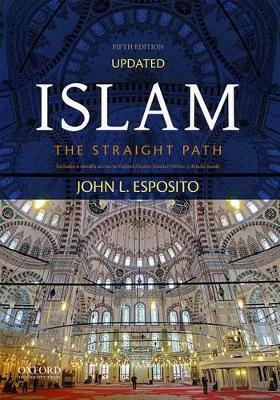 John L. Esposito, an internationally renowned expert on Islam, traces the development of Islam and its impact on world history and politics.Lucidly written and expansive in scope, Islam: The Straight Path, Updated Fifth Edition, provides keen insight into one of the world's least understood religions. It is ideally suited for use in courses on Islam, world religions, comparative religions, and Middle East history and culture.A FREE 6-month subscription to Oxford Islamic Studies Online (www.oxfordislamicstudies.com), edited by John L. Esposito, is included with the purchase of every new copy of this text.